I see German, Belgian and Canadien ads.....no vintage Portuguese ads ? Blokes carrying bags of cement and bricks in their boots ? I think they might save some money and used same models in europe! No. The meaning of the 'U' differed according to what it was paired with. Thanks Mário, it's really nice to see the Entreposto-specific advertising and literature. I'm sorry but I honestly think the official 'Entreposto' Portuguese market-specific were not 'HLS30-U' sub-variant coded. Either Nissan classed them as special versions of the 'HLS30' and (later) 'HLS30-Q' variants, or they gave them a special suffix of their own. I have photos of Sr. Jose Megre in Nissan Japan's works race & rally preparation workshops in Oppama. He was very well connected, and respected by Nissan Japan. I think Nissan saw Entreposto as another gateway into the potentially very large African market. I was told in Japan that the Entreposto 240Zs had different suspension than the other Export market cars. Different struts and different springs. Perhaps - in reality - it was only after a certain date, and not all of the cars? Since I have never observed a North American 240Z with a "U" in the vehicle identification number stamped on the fire wall, am I correct in assuming that the "VIN" and "factory type code" are not the same number and are not interchangeable?? U is Europe only, so UK market cars would have been HS30-U ? The suffixes to identify sub-variant were never engraved on the firewall. What is engraved on the firewall is a combination of the basic model prefix (S30, PS30, HS30, HLS30, RS30 etc etc) and the body serial number. This identifies an individual car, but does not tell you what sub-variant it is. The full factory identification (in Japan this is called the 'Katashiki') is a combination of the chassis/car number (in Japan this is called the 'Shatai Bango') and the sub-variant identifying suffixes. They are not the same thing. You understand that the North American market cars were given the suffix 'U' to identify them as such, yes? There were extra suffixes to identify further differences where applicable, but they were basically for in-house use by the factory and by the time the new cars arrived at the dealers they were pretty much forgotten about. I've got to say, this is pretty basic stuff here. The codes are there in all sorts of factory documentation (FSMs, factory parts lists etc) and yet they appear to be news to many owners. The above is probably an illustration of why Nissan didn't bother giving all this stuff to civilians to play with. Personally I think it's fairly easy to understand even without knowing the full range of suffixes, but for others it seems to be like wrestling with quantum mechanics. As I've tried to make clear, the suffix letters change meaning depending on context. DO NOT assume that 'U' means always one thing and always one thing only. It doesn't work that way. 'U' does not mean "Europe only" any more than it means "USA & Canada". It depends on what it is paired with. I was interested in the suffix given to the official Portuguese 'Entreposto' models, as I don't believe I've ever seen it (and one may not even have been assigned...) but a full explanation of the various sub-variant codes is a topic for another thread, I think. Okay, so U doesn't always mean RHD and neither does it always mean Europe only. I'd love to see another topic on this please. I'd have thought the 'U' suffix would be something you'd be dealing with almost every day in your French club, what with all the USA & Canada market models turning up and mingling with official European mainland market fare? Knowing - and passing on - the differences between an 'HLS30' (or later 'HLS30-Q') and a refugee 'HLS30-U'? I don't think I need to explain or justify the fact that knowing the codes exist and/or understanding what codes applied to your own car should be a no-brainer for anyone who has a deep enough interest in them. This stuff goes to the very root of the creation of the cars, and ignorance of the nitty gritty is part of the "Designed for the USA" and "Designed by Albrecht Goertz" type nonsense we've had to put up with for so many years. I'll take the heat (as usual) - I'm sure I'm not the only one curious but I still fail to see that if Nissan didn't pass this on to the public and perhaps even dealers, of what practical use is the info to an owner today ? Knowing - and passing on - the differences between an 'HLS30' (or later 'HLS30-Q') and a refugee 'HLS30-U'? Only useful as a map with a legend ! But they did! As I believe I have shown. You only have to pick up a factory service manual or a factory parts list to start seeing it everywhere. Do people honestly not notice this stuff...? ...of what practical use is the info to an owner today? So you honestly don't think it's worth knowing the factory sub-variant designations for the cars? You wouldn't - for example - see the practical use in knowing the difference between an S30-S and an S30, or between a PS30-D and a PS30-SB, let alone the sheer whimsical fun of it all...? it only indicates that U means RHD...except for when it isn't ie N.American models. Both were sold in Europe, both had the same box, diff, spoilers ? To be fair, most OEM cardboard gloveboxes have gone the way of Pooh sticks and where do HLS30 280Zs fit in with codes an all ? Whims ? I have no time - family, job, second job, club.... and how often will I ever get to see anything than stock dealer cars ? I've only just been informed of a PS30-D ! You sent me this table a while back which is fab - I love info like this but again, how many JDM cars will I ever see ? I'm reading all the post...excellent information!!! Hope people read it and share all we are saying!!! Albrecht - Monday I'll take a look on my car and ask some other friends to check, preferable if non restored, right? I'll check the book I read long time ago where the "u" code is mentioned and see if help us in our questions, and I've got the original parts book from71, I got it from a dealer and I kept it to get parts and so on. I'll check too in the search for codes. Sean - Our cars have different specs from the US and I read long tome ago, that even in the PL610 and other models that usa the "U" that it happened because were version where the owner don't need to buy extras, not a full extras model, but a well equiped model. 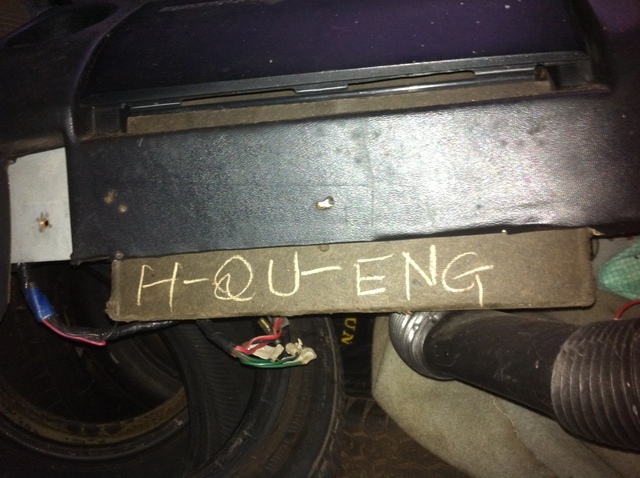 for instance, the U-2000 ou the 180-U are cases like this, and even the "U" is present on the chassis number. O believe portuguese Z's where one of the most equiped Z's, perhaps because Entreposto deal with Nissan all the equipment, or Mr.José Megre did some agreement in relation to it.